A merger that could change the future of a growing medical field focusing specifically on ears, nose and throat, and that which could join the expertise and experience of Dr. Larsen, Dr. Hedges and Dr. Cink was the driving force behind the creation of Midwest Ear, Nose & Throat. Midwest Ear, Nose & Throat opened its doors in August of 2003. Joining Dr. Larsen, Dr. Hedges and Dr. Cink, came two others, Dr. Todd and Dr. Helvig, followed soon after by Dr. Scott, Dr. Kasznica and Dr. Tamura. All doctors with the drive to create and brand Midwest ENT into a thriving specialty clinic. Currently, it is home to seven doctors, four Physician Assistants, and over fifty additional employees. 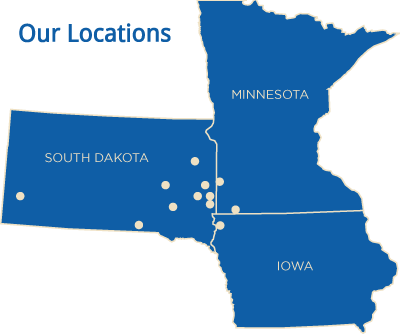 Aside from the growth of a talented and expert team, Midwest ENT’s areas of service have also expanded over the years. We offer specialty services in sinus and allergy, hearing and hearing aids, head, neck and skin cancers and pediatrics, as well as facial plastics and more. Our services also include the Sleep Center of the Midwest, which is headed up by our Board Certified sleep specialist, Dr. Ken Scott. Midwest Ear, Nose & Throat is proud of its growth, expanded services, and in being the area’s specialists in total care of the ear, nose, throat and sinuses, but what it is most important is their patients. Whether you are dealing with allergies or sleep apnea, tonsils or thyroid disorders, we are proud to work with you.